The Black and Tans were formed in January 1920 in order to support to increasingly under pressure RIC from IRA attacks. Commonly believed to be “the sweepings of English gaols” the Black and Tans were actually former British soldiers, most of whom had fought in WW1. 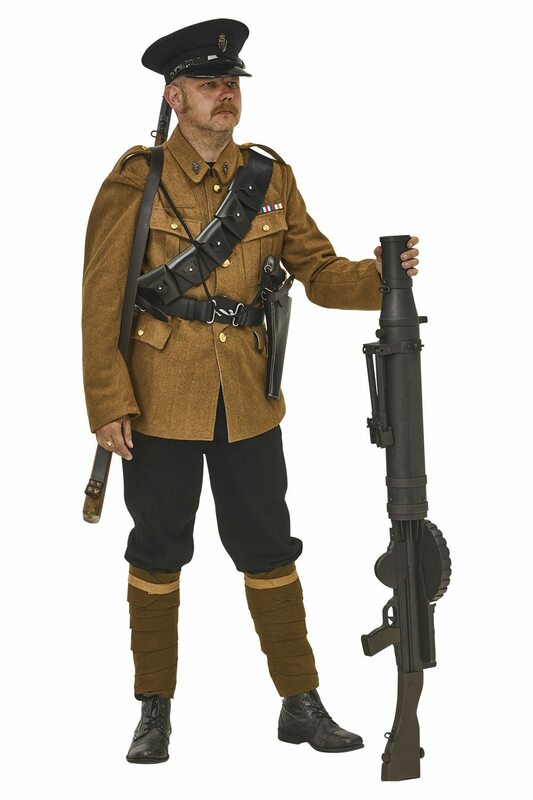 Due to a shortage of RIC uniforms (their official title is Royal Irish Constabulary Special Reserve) the new recruits were kitted out in an array of British army khaki and RIC uniforms, hence their nickname, the Black and Tans.